This Blog entry is from the Monte Carlo Model section in Learn Palisade. A triangular distribution is extremely useful for modelling a variety of business scenarios, especially if created as part of elicitation and in the absence of data. If data does exist though, it would be more useful to set a distribution reflective of that distribution. 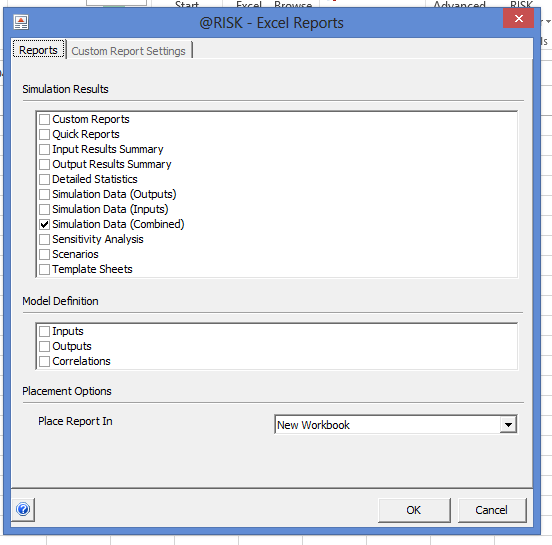 @Risk can handle a very wide range of distribution and has a means to perform statistical tests to see which distribution sees to reflect the data most closely. In this example, the most fitting will be written out as an @Risk function which can be natively used in future simulations. Selecting a cell to write the formula is a less flexible approach in practical use and thus the former method is recommended, keeping a journal of fitted distributions for future reference. 3) Performing Optimisation and Mitigation on Monte Carlo Simulation Data. Using Summary Statistics we are now able to identify the scenario that would cause a high move which can be compared with other scenarios. In the below example we can infer that the average skew for an optimal trade would be -23 vs the more typical value of -8 which would include losing trades. It follows that in terms of optimisation we may determine to focus on trades where the skew is more pronounced. 2) Running Monte Carlo Simulations. In the above example we can determine that in all probability the market is going to move downward, in fact 90% likely to move downward between 0 and -0.7. The market is extremely unlikely to go up based on the last 8000 5M observations (although this could just as well indicate a correction). The shape of the distribution and the lack of normality would be cause for concern and lead us to reconsider promoting this model in all likelihood revisiting the validity of the model. It is fine for the purposes of our example albeit with the caveat that the value of the optimisation and mitigation process is closely linked to the predictive performance of the model in the first instance. 1) Configure a Logistic Regression Model and Define Triangular Distribution. In this guide we have implemented a Linear Regression Model in an Excel Spreadsheet across four strongly correlating variables from the training dataset. We are using intraday GBPUSD with 5M candlesticks whereby we have a chart configured with 700 of the most recent candlesticks. Specify an appropriate name or retain the default, then click ok.
2) Output Logistic Regression Model as Probability and set Threshold Function. Unlike the Linear Regression models which simply give an output of a numeric value for use, classification models creating a score, probability or otherwise, rely on the setting of a threshold as an activation function to declare, in this example, fraud. In our example, the threshold is 80% probability of fraud for the prediction to be considered as such. Once again, the IF function will be brought to bear for the purposes of creating an activation function. The Blog entry to create a Logistic Regression model is almost identical to that of creating a Linear Regression model, in that default options suffice while the concepts of Dependent and Independent variables are used in for the purposes of creating the model over the X and Y specifications that had previously been used in other analysis. While it is the default option, it is important to select ‘Include Classification Summary’ option as this is an important performance measure for stepwise Logistic Regression. It follows that the Logistic Regression model should be improved by adding the next strongest correlating variable seeking improvement in the classification accuracy while maintaining good P-Values. Multicollinearity refers to an Independent variable that while having a strong correlation to the Dependent Variable, also has an often unhelpful correlation to another variable, with that variable also being quite well correlated to the Dependent Variable. Multicollinearity can cause several issue, the most significant is the understatement of Independent Variable coefficients that would otherwise have a remarkable contribution to a model. We identity Multicollinearity with the help of a Correlation Matrix, which has hitherto been used to identity the relationship between just the Independent Variable and the Dependent Variable. 7) Create a Stepwise Linear Regression Model. Linear Regression models are not just limited to as single independent variable, rather they can have many. As a methodology, the goal is to keep adding independent variables and observe the model improving in performance, then stopping at the point the model begins to degrade as more independent variables are added. Repeat this Block entry for the very next strongest correlation until such time that the Multiple R ceases to increase or the P Values increase beyond 5% (or an acceptable threshold as determined by the analyst), at which point stop with a view to improving the model using only analyst best judgement (i.e. adding and removing independent variables that make intuitive sense to garner improvement). Using this Blog entry, it is expected that a model will improve to around five variables, but could be many more depending on the complexity (indeed creativity) of the abstraction process. 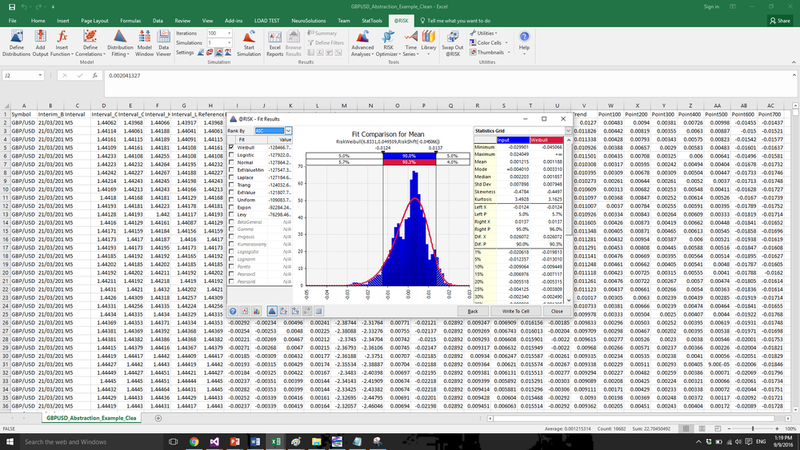 6) Deploying a One Way Linear Regression Model in Excel. The Constant represents a static value that will always be the starting point of a linear regression model, whereas the coefficient value for the Independent Variable would be a value that is added to the constant, as the multiplication of the Independent variables prevailing value. The model has now been deployed across all examples in the file. Scientific notation in the variable, the E value, suggests that the changes are forecast to be very small, hence many decimal places. 5) Creating a One Way Linear Regression Model. A one-way linear regression model is the first model created in this Blog that has predictive power. In actuality, a linear regression model was brought to bear in drawing a trend line, however this Blog entry introduces a more detailed means to create a predictive model via linear regression. Having ranked the correlation strength of the independent variables vs the dependent variable, note the strongest correlating value which is in this case the variable Kurtosis. The strongest correlating variable will always be the starting point in the development of a predictive model in this methodology. 2) Create a Correlation Matrix using Spearman and Pearson. Correlation is a measure of relationship and direction of that relationship. It is a single value that ranges from -1 to +1, which would signal the direction and strength of a relationship. Both -1 and +1 in their extremes are equally interesting. A correlation matrix takes all the variables together and produces the correlation value between each variable. This matrix will be the bedrock, starting point, for many of the techniques used in the following Blog entries. 1) Creating a Scatter Plot to inspect a potential relationship between Dependent and Independent Variable. This Blog thus far has focused on performing analysis of just a single independent variable. This would be referred to as Univariate Analysis. Bivariate analysis would refer to bringing two values together to estimate their relationship. In terms of visualisation of a relationship, this could be achieved by visually inspecting a scatter plot comparing one value to another as dots on a chart with two axes. Y is the vertical axis; X is the horizontal axis. In this example, the Dependent Variable (titled Dependent, being the actual price change observed) is to be on the Y axis, with the Skew (this is the prices tending towards higher or lower) on the X axis. The intention is to visually inspect the scatter plot to see if the mass tends with an increase. in the Skew. Furthermore, it shows how the values are clustered together, in some instances there may be distinct groups emerge which need to be split (i.e. maybe a different model for one cluster). In this example, it is visually quite hard to draw any conclusion as the scatter plot is far too dense, having too many dots overlaying each other. A solution is to take a random sample, to reduce the size of the dataset without losing any significance of meaning. Creating a scatter plot on the smaller dataset makes the Scatter Plot much easier to understand. In the above example while there are far fewer points on the scatter plot, the overall shape is broadly the same. 5) Creating Time Series Analysis in StatTools. By selecting a label, the process will use a date order without requiring the dataset to be ordered prior (the example is ordered new to old). The analysis is output in the form of a line chart showing the oldest records plotted towards the axis, with the newest records plotted away from the axis. Overall the analysis is intended to visually cue trend and provide some directional insight to the summary statistics. 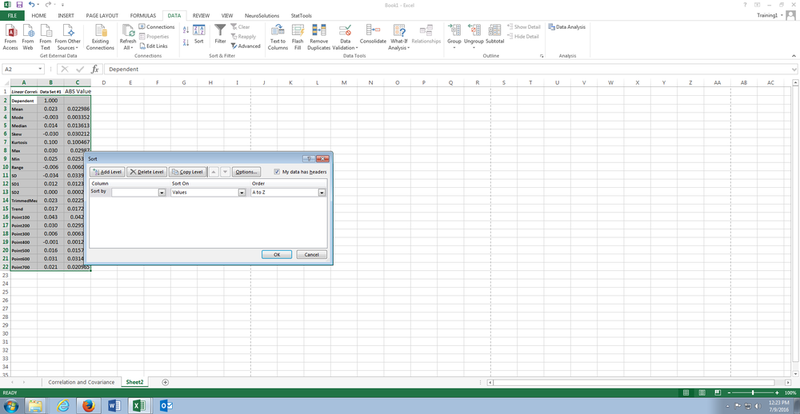 4) Calculating a Z-Score in Excel. = (Test Value – Mean) / Standard Deviation. The values Mean and Standard Deviation would be taken from the StatTools output. The Mean value is contained in cell B9 and the Standard Deviation is Contained in the cell B11. The hardcoded value of 1.0000 would be the prevailing price and thus a variable. It would therefore be possible to replace the value 1.0000 with a cell reference, a technique that will be used extensively in the abstraction process, especially in creating Behavioral Analytics and Abstraction Deviations. 2) Creating a Histogram in StatTools. For the purposes of this example create a histogram based on just one variable, in this case Interval_Close, while allowing StatTools to infer the most appropriate number of bins. 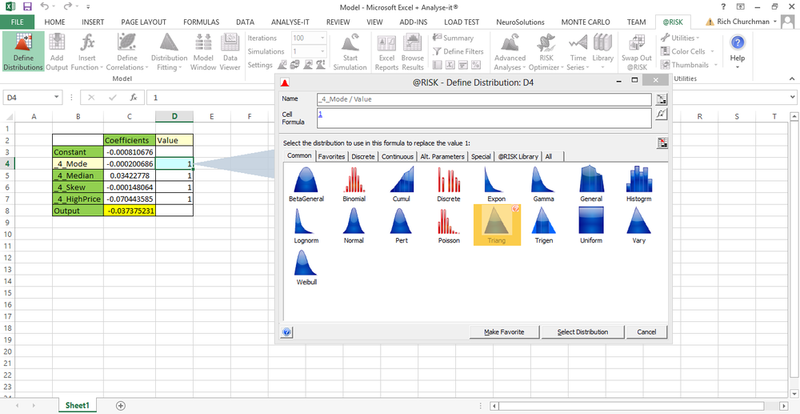 Two outputs are created, the tabular representation of the Histogram which includes the probability density, and a bar chart providing a visualisation for the distribution. 1) Configure a Dataset in Palisade StatTools. This Blog entry is from the Summary Statistics section in Learn Palisade. To begin using Palisade StatTools, or indeed most Palisade products which rely upon datasets, the dataset needs to be configured. StatTools does a very good job at inferring the dataset and then loading that dataset into the StatTools realm, making it a trivial matter or procedure. The default, inferred, dataset is almost always acceptable. Notice that the Apply Cell Formatting check box is set. 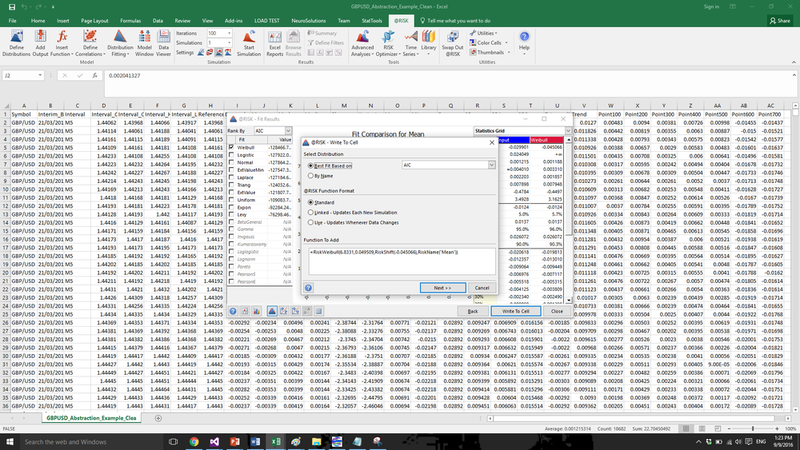 Cell formatting is a useful feature to determine if a Dataset has been loaded into the StatTools realm after completing the process. 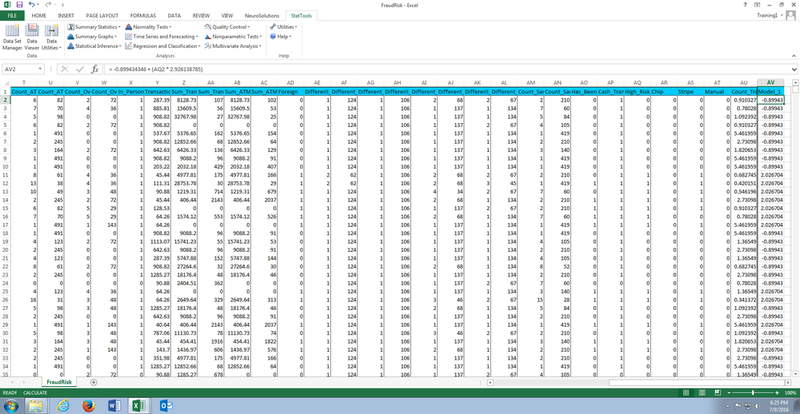 When the formatting of the cells changes colour, with the grid being emphasised and the header text having a blue background, the Dataset can be taken to exist in the StatTools realm and is eligible for further analysis. All subsequent StatTools Blog entries rely upon the Dataset being loaded into StatTools in the above manner. Monte Carlo Simulation is a technique to create many random simulations based upon a random case (i.e. a transaction). The random value can be forced to obey certain statistical assumptions, which in this example will be a triangular distribution. Monte Carlo simulation is an enormous topic in its own right yet these procedures are intended to give just a basic overview of the tool and allow for the simulation of models created in these procedures. Simulation for Communication refers to being able to run models based on explainable statically assumptions so to facilitate expectation setting for the models impact. 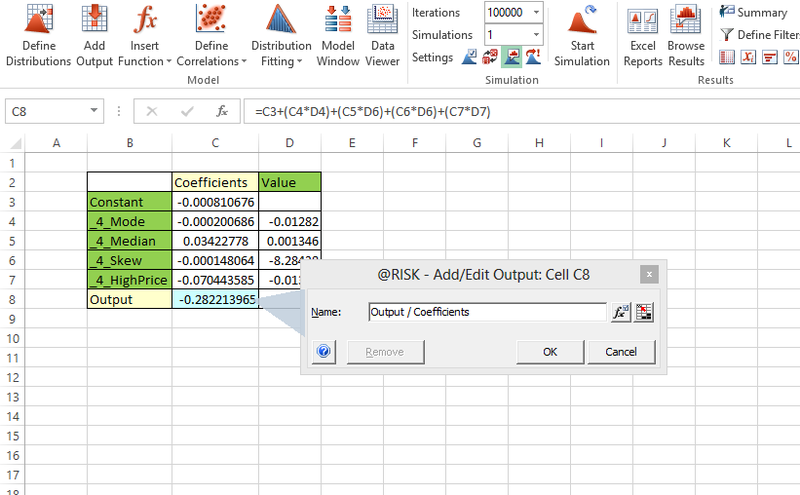 Furthermore, that millions of random simulations will be exposed to the model, where records of both the randomly generated record and the output are retained, Monte Carlo simulation can help identify scenarios where there is potential for optimisation or risk mitigation.